Of over 650 stock car oval drivers in 2017 throughout Atlantic Canada, Tim Webster has established himself as the best in the inaugural Tim’s Corner Motorsports (TCM) Power Performer Championship presented by Quinn Flooring. Webster’s point total of 155 points was four better than Bandolero driver Austin MacDonald’s 151 to take home the championship. 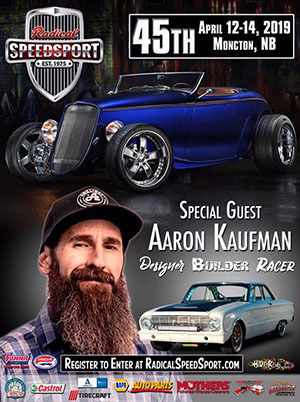 The TCM Power Performer Championship presented by Quinn Flooring’s point structure awarded points to every feature race with results submitted by their respective race track and series. A full field of 12 cars gave the winner 15 points, with 11 points going to second place and one point on back per position. A lesser field size would give the winner the same amount of points as the field size (a win in a nine car field would give the winner nine points) with point totals decreasing by one point per each position. A driver’s best 12 point totals would count towards the championship total. In addition, points (5, 3, 1) were awarded to the top point drivers in each of the months of June, July, August and September. Webster raced 19 times in 2017 in his No. 86 Blue Ridge Builders Honda Civic Mini Stock. Of those 19 races, seven resulted in victories with five of those (May 21st – Scotia Speedworld, Sunday, May 28th – Petty Raceway, Saturday, June 10th – Petty Raceway, Friday, August 18th – Riverside Speedway and Saturday, September 9th – Petty Raceway) being full field, 15 point win. His highest point drop was 10 points. His performance in September was the best of any driver in the region, earning him an extra five bonus points on top of his dozen best point totals. In contrast, MacDonald had 18 starts on the season and while he had six full field wins on the year (four at Petty International Raceway, two at Scotia Speedworld), Webster’s consistency was a touch better as MacDonald highest point drop was 9 points. MacDonald’s point total in August was second best in the region to earn him three bonus points. Josh Langille and Wayne Walsh had different paths to a tie for third on the season. Walsh scored all of his points in the NAPA Auto Parts Sportsman division en route to the NASCAR Whelen All American Series Provincial Title for Newfoundland and Labrador. Walsh had five full field wins and five full field second place finishes a part of his 12 races. He was also the top point driver in the month of June, earning him five extra points for his total. Langille started the most races of anyone in the top five with 23 starts on 2017 – six in Legend car competition for Arnie Spinney and 17 in his Bandolero. His 12 starts towards the season long championship came from his Bandolero racing, with five full field wins and three full field second and three full field third place runs. He scored a single bonus point as the third best in the month of September. “Rational” Richard Drake’s fifth overall total was done by racing at one track in one division. Drake raced to five full field feature wins at Scotia Speedworld in the Toursec Lightning division with his best 12 of 14 starts giving him 144 points. Drake obtained no bonus points throughout the season. Newfoundland’s Waylon Farrell, New Brunswick’s Cory Hall, Nova Scotia’s Scott Thibodeau, Prince Edward Island’s Alex Sheehan and Nova Scotia’s Dave Matthews completed the top ten for the season. 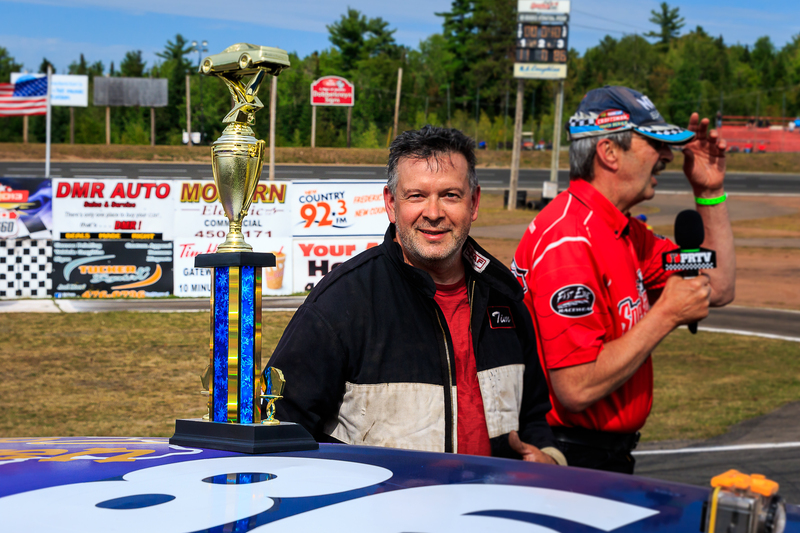 Matthews and his East Coast Mini Stock Tour victory on the last day of the season on October 14th at the CENTRE For Speed would put him into a tie for tenth in points with Oyster Bed Speedway’s Street Stock champion Amanda Wheatley. Matthews had four full field wins on the year to Wheatley’s two. Complete season standings can be found on our standings page at TCMPowerPerformer.com. While we are still tracking down some results from Lake Doucette Motor Speedway, Valley Raceway, the Eastern Super Mini Cup Series and the Atlantic Modified Tour, if they are added the top ten would not be altered by these results being added. Watch for a more in depth look at the numbers for 2017 during our annual Year in Review in December.